Thought I had better share this photo while there is still some chance of you getting out to forage for wild garlic! Is it my imagination or is it way earlier this year? When I worked in Tullamore a few years back there was such an abundance of wild garlic in Charleville Castle – the air would be pungent with the smell…. really yummy! This year we asked about to see if we could find somewhere closer to home and we were lucky! 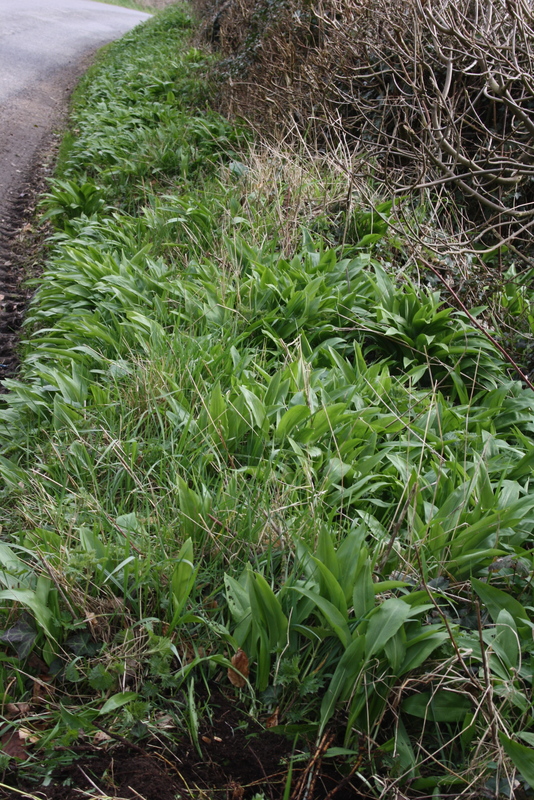 Both sides of the roadway for about a mile were covered in Wild Garlic! We harvested loads! I love it chopped into salads but it also makes a delicious pesto. This is Darina Allen’s recipe which I used as a base – but substituted toasted cashew nuts for the pine nuts. Blitz everything, except parmesan. Fold in the parmesan. 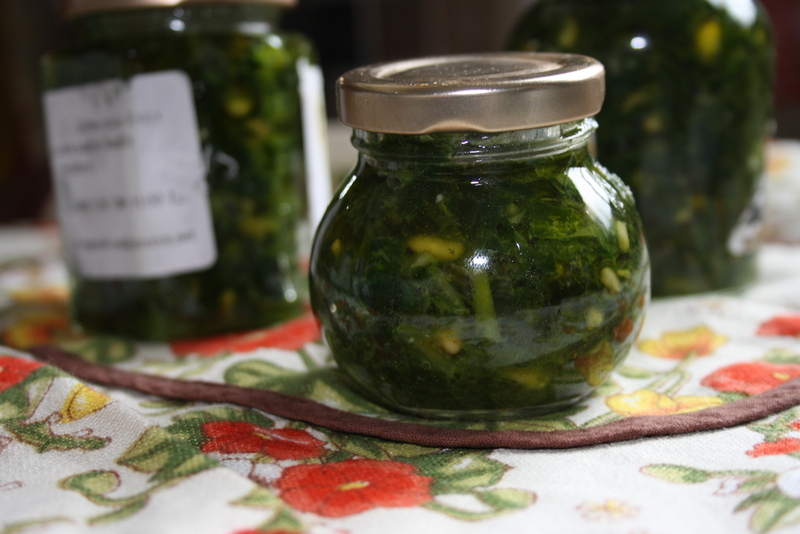 Pour into sterilised jars and store in fridge. Nothing like enjoying free food! I have never heard of wild garlic, but I can only imagine the flavor is much better. Can’t wait to give it a try…! I think (but I’m not 100% sure) that they may be referred to as ransomes in US.